Automation, robots and AI all go hand-in-hand when we talk about supply chain management in the future. Complex supply chains across the globe rely on the intelligence and brute strength of machines to reduce waste and lower costs. For those who may not be familiar with the concept of self-learning software, simply put, Artificial intelligence (AI) is intelligence exhibited by machines. So what are it's benefits in the supply chain? Today we’re going to look at 3 specific ways AI will improve supply chain management now and in the future. 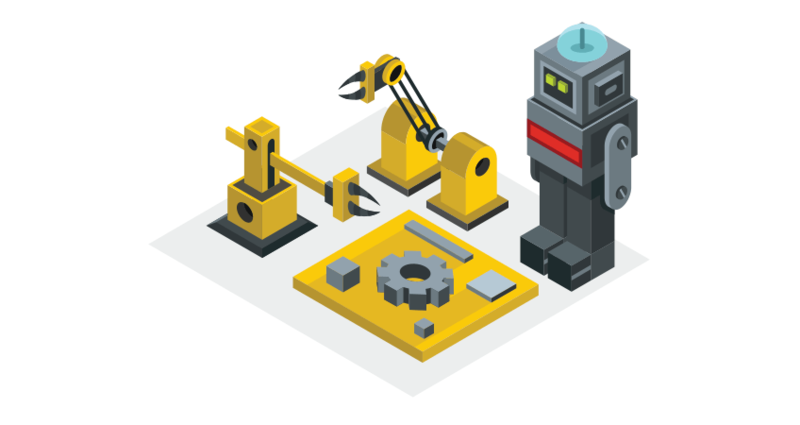 If you read our previous post Can machine learning really create a better supply chain, then you should be pretty proficient with the idea that machines can do some tasks better than regular-old humans. And in the case of demand forecast and planning, machines are better at planning and managing inventory in complex supply chains. When it comes to planning and forecasting, you are essentially trying to predict future demand. But there are so many factors that need to be considered when working on this including new product development; promotional campaigns; workforce scheduling; inventory control. AI forecasting techniques are algorithm-based, meaning they can out-perform traditional methods of forecasting especially in cases where there is no historical data. Using AI to forecast demand combines decades of human expertise in inventory management with new data mining techniques. Dynamic pattern matching is now possible as AIs can factor in past, current and future customer behaviours, rather than relying purely on historical information. We cover order picking quite a lot in this blog, but if we wanted to define it in it’s most simple of terms, it’ the process of selecting the items that have been ordered. It sounds very easy when you break it down in this way, however, changing consumer behaviour and the growth in eCommerce has made this incredibly labour-intensive, and order picking is now even stated to be one of the largest portions of warehousing operations. Considering the large role order-picking plays in most warehouses, it’s easy to see why warehouse managers and business owners would seek out the most efficient way of picking. With the application of AI, intelligent systems are able to optimally assign workers to specified zones where goods are being picked, and AI systems can also design and adjust conveyor speed to avoid queuing time. Among the many benefits of applying AI to business is one very important factor when it comes to improving productivity; AI learns on it’s own. You won’t need to train it, or teach it on an ongoing basis, and they are able to adapt to changes in the e-fulfilment process. One of the best ways to retain customers in an ever-increasingly competitive environment is to build trust. Customers need to be able to trust your manufacturing and service capabilities, and as they become better informed, businesses are finding it harder and harder to get them to go through the checkout funnel. Say your customers are lucky enough to be given a great experience all the way through the checkout, the biggest blunder you could make is to lose them from poor post-purchase customer service. You need to show the customer that you can deliver exactly what they want, and to do this requires a steady stream of communication and relationship building. This is known as customer relationship management (CRM). CRM can definitely build connections with your customers while also improving service delivery, but it is time consuming to say the least. Building an intelligence layer between all the data that is generated on your customers and the way you actually operate will help you gain better insights across a variety of business cases. One of the most exciting features of AI is the idea that they will eventually be built straight into CRM platforms. This is the case with the newly developed application Salesforce Einstein. Einstein was built to assist businesses in every area from sales, email to eCommerce. So for those only interested in supply chain management, Einstein runs automatically in the background making eCommerce product recommendations and personalised predictive search for customers. Eventually, AI will be able to create totally personalised experiences for customers, from the moment they land on your site; to the moment they receive their package. What are your thoughts on AI? Do you think it will (or already has) have irrevocable effects on supply chain management? Let us know in the comments below.